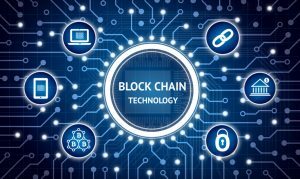 National legal recruiter Nancy Grimes says the blockchain industry is a great choice for any lawyer willing to make a bold move. At this point, you’ve definitely heard of blockchain (or Bitcoin or cryptocurrency, blockchain’s most famous applications). But have you considered how you could integrate it into your career? It’s easy to be intimidated by blockchain, but it’s a relatively simple idea. Blockchain simply refers to a digitized economic ledger where information blocks are connected to each other in chains through cryptography. It can be used to record a wide variety of information, especially financial and economic information. The information is held on a universally accessible register that is regularly updated and is considered incorruptible. The development of blockchain technology was originally to cater to the use of the Bitcoin cryptocurrency, but its applications are expanding to nearly every field. This exciting new industry can offer you a chance to completely change your career and become a leader in this unexplored territory. Blockchain and smart contract experts are extremely rare, despite the high demand for these professionals in the industry. With a little practice and experience, you can easily enter the industry and become extremely successful. The relative newness of the technology means that the industry is not already saturated with professionals who are adept at handling blockchain and smart contracts. In addition, becoming an expert is quite easy in this industry as it is still in its developing stages and is not yet too complex for a determined person to master. In fact, you can help shape and even lead its development. Finally, the industry is relatively easy to enter, as it does not have any legal requirements such as licenses or certifications for you to become an expert in the different elements of business. Digital assets are now common, especially with the role of the internet in our daily lives. The information collected from our browsing and social media is an extremely important aspect of the advertising industry. Blockchain technology is a great asset for handling these types of digital assets as it allows for the distribution of digital information. In fact, it is actually the structure of a new form of internet. This is the future of technology and you definitely do not want to be left out when this industry blows up. The lack of professionals in the industry means that the existing experts receive great remunerations. Already, professionals who are in this industry are paid much higher than those still using the typical financial structures. If you are considering entering this industry, then you can look forward to a great salary. This is probably the most compelling reason why you should enter these industries. As you become an expert, you can expect your salary to continue to increase. More jobs but few workers allows you to negotiate great salaries. Blockchain technology has revolutionized the internet in ways that are likely to have some major economic benefits. Originally created to deal with online currencies, blockchain technology has completely changed the way economic and financial transactions are conducted today. This technology has also changed how information is handled, therefore opening up opportunities in dealing with digital data. A perceptive lawyer can take advantage of this and explore these new benefits. After becoming an expert, you can become a leader in an unexplored industry, which can be very financially rewarding. For individuals with an interest in new technologies, then the blockchain industry is definitely the industry for you. An AI platform for legal research is only as strong as the data, people, processes, experience, and security behind it. Know what to consider to be sure an AI solution provides real value for lawyers and legal teams. The blockchain and smart contracts industry is likely to last a very long time and will only expand in use. The technology is based on similar concepts as those that support the internet, meaning that it has the potential of surviving for many years. The internet has been around for at least 30 years, with new uses being identified every day. This industry is likely to provide you with lasting work for numerous years to come. Being an early entrant can place you in the perfect position to take advantage of any opportunities that arise in this relatively new industry, and the fact that the industry is diversified means that you can get opportunities for a long time. The blockchain industry is extremely flexible and easy to adapt. The information blocks are not stored in one central area and are not easy to manipulate. In addition, the technology can be adapted to numerous industries therefore making it a very flexible industry. For you, the flexibility stems from the fact that you can work anywhere and with anyone through this technology. This is in line with the global work trend of working online and can allow you to select when and how you will work. Private businesses are also now using the technology making it even more flexible in use.